holidays! Our family had a great time with these glasses and seeing the magic behind the lights. The children elves just could not believe their eyes and neither will you! 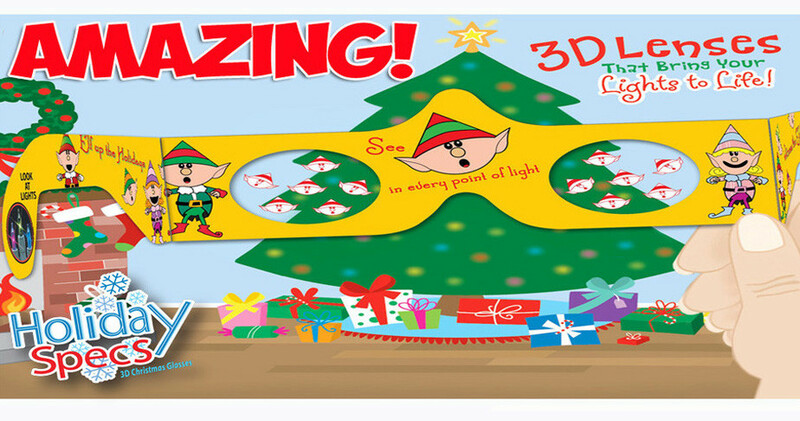 We all know there is magic in the holiday season with Holiday Specs you can now see it! Holiday Season. These are a very affordable way to spread the fun and cheer of the holiday season. We think these would make great stocking stuffers or elf gifts. We highly recommend these and think Santa would agree! Remember they also offer other options for different occasions, check them out today for more seeing is believing fun. A surprise for your eyes, HOLIDAY SPECS are a one-of-a-kind holiday favorite - perfect for everyone. 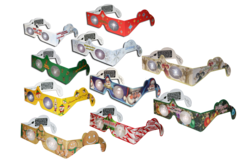 With over 10,000,000 sold around the globe, our special holographic lenses miraculously transform Christmas lights into magical figures of candy canes, angels, stars, snowflakes, ornaments, gingerbread men, elves, reindeer, snowmen and even Santa!